Commonly referred to at the time as the “War to End All Wars,” World War I was in fact not a “last” but a “first.” Innovations in technology, tactics, and equipment ushered in a new era of warfare that defined how wars were fought for the next one hundred years. While most people associate World War I with the start of trench warfare, it was by no means a new strategy or idea. Employed at great lengths during the American Civil War, trench warfare was a siege tactic that had been around for centuries. So what then was “new” about World War I and how did it shape warfare in the 20th Century? In terms of military tools and equipment, World War I saw the first use of aircraft carriers, flamethrowers, chemical weapons, tanks, and airplanes. Battlefield medicine also evolved with the introduction of guide dogs, x-ray machines to treat battlefield casualties, and established blood banks. Though there are many more “firsts” that were introduced during World War I, with the centennial commemorations of the outbreak of the war in July of this year, now is a great time to reflect on some of the more recognizable innovations. 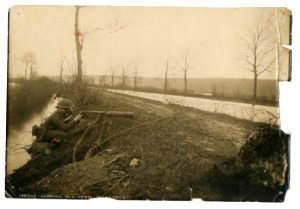 Employed for the first time en masse, machine guns ruled the battlefield and in many ways were one of the primary causes of the stalemate of trench warfare. By the end of 1914, with each side realizing the devastating combination of massed infantry assaults against fortified machine gun emplacements, the Allied and Central Powers both dug in for a long war. Despite knowing the lethality of this new battlefield technology, the European powers still stuck to their strategies of massed infantry assaults, leading to some of the most costly battles in military history. In 1903, the Wright brothers made the first controlled, manned flight, staying aloft for 59 seconds. Ten years later, this new technology was being adapted for warfare. Daring pilots were almost more at risk learning to fly than they were in the dogfights in the skies of Europe. In the case of the famed Sopwith Camel, 413 pilots are documented as having been killed in action while 385 died in training accidents. As the war progressed, aerial dogfights took the war from a stalemate on the ground, to a highly maneuverable battle above the trenches. Developed to break the stalemate of trench warfare, the “tank” was an incredibly influential innovation of World War I. Initially these slow, metal behemoths were mobile pillboxes that could advance and provide direct heavy fire support for an infantry assault. By the end of the war, the Allies had produced over six thousand tanks, while Germany had produced only about twenty. The lessons learned about the effectiveness of mobile warfare with this new piece of equipment were not lost on the Germans who would use it to introduce a new style of warfare twenty years later. Ironically, these innovations developed to break the stalemate, and end “The War to End All Wars” were, in fact, the catalysts for a whole new modern era of warfare. 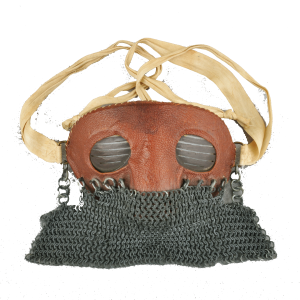 Many World War I battlefield innovations have defined new tactics that are still used today. Machine guns remain a staple on battlefields. Tanks have become the workhorse of ground troops. Airplanes, manned and unmanned, are now the primary strike force of any military operation. So as we observe the 100th anniversary of World War I, let’s remember the modern innovations brought about by the Great War, as well as the brave Wisconsin men and women who played witness to an era of battlefield inventions. Learn more about Wisconsin in World War I at here.